The House Party, the new edition of Angels Online, is fast approaching. The leader of the Angel Lyceum, Michael, is anxious about all Angels because they may be killed in the sea if they are not strong enough. Well, we want to help all Angels explore this new region, so Michael will be holding a New Edition warm up event going on from May 7th to May 21st to offer all Angels a chance to level up. Items with 2x exp effects will be enhanced. Meanwhile, a training place, the Romantic Area, will be available for all players. We hope that all Angels can level up fast and become strong enough to defeat the evil army from the Evil Lyceum. 1. From May 7th after the server maintenance to May 21st, items with the 2x exp effects such as Double Exp Cards(30 minutes), Double Skill Exp Cards(30 minutes), and Pet's Double Exp Cards(30 minutes) will deliver a 3x exp effect. 2. All items with speedup effects such as Collecting Speedup Cards (30 minutes) and Facture Speedup Cards (30 minutes) will offer players quicker effects. 3. From May 7th to the server maintenance on May 21st, players can obtain a Romantic Flame Area Ticket if they buy one Aries Lucky Bag. 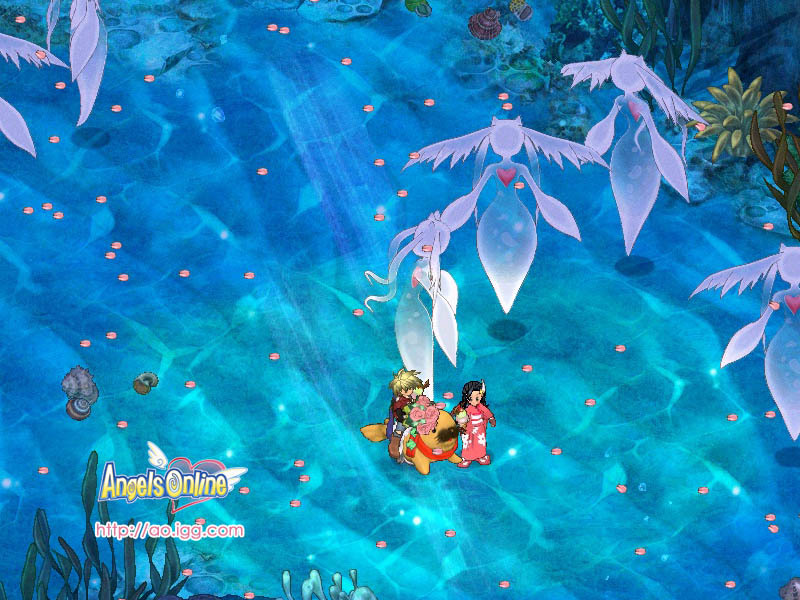 With the ticket, players can go to find the "Area Guide Angel" in the Angel Lyceum (157, 78) and enter the [Flame Area] for the following 24 hours.